Crabgrass, a magickal herb. Image is a Wikimedia file. The uploader was Richard Arthur Norton, at English Wikipedia. 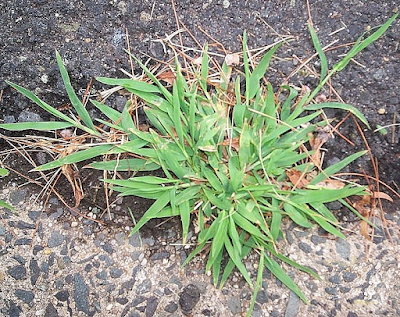 Crabgrass, it's a weed (well most varieties are), and a weed by any other name is still a weed. But can a weed--or more specifically, can crabgrass, be used in magick? Yes it can! And it may seem bizarre to use a weed in magick, but imagine if it could be sold for big bucks; then everyone would soon be made aware of its magickal and metaphysical properties. This so called weed is now abhorred by the bulk of lawn-proud people; however, crabgrass was not always regarded with such disdain. As a matter of fact, it was originally introduced into the USA in 1849 as a forage crop to feed common livestock; a task that it is well suited to. It produces on average from 4.4 to 8 tons of dry yield per acre. Crabgrass has been used as food since prehistoric times, and can be traced back to cultivation in ancient Swiss history. By around 2700 BCE, it had become a common food ingredient in Central Asia. It is still commonly consumed in Africa and India today. It can be used as flour, in bread, as couscous, it can be used like rice, to make porridge; and can even be used in beer making. (References: World of Weeds :: Crabgrass; Eat the Weeds :: Crabgrass Was King). The entity Ra Hoor Khuit came to me; he said that when one desires to meet a certain goal and needs to put themselves ahead of the pack in order to do so, this is an herb of choice. 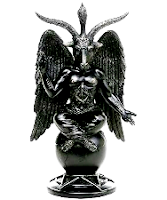 Not only that, it has another major magickal power--for those who struggle due to being unique in the way that they are--that they are not like sheep and are more like goats or black sheep, this herb is a power herb for them. Being unique is part of their power, and this herb will help them harness their powers and be more at peace in a world not entirely ready for them. Crabgrass is a beneficial herb for global and societal improvement magick. Thus when one is doing magick to move away from corruption, poor economy, for governmental change, or for humanitarian reasons... this herb should be on their list of tools. This property is mirrored from the plant's own traits, as crabgrass is best cured by creating a better lawn or field, rather than attacking the earth with pesticides. Furthermore, magick related to the sphere of Da'ath will also be enhanced by crabgrass. Why? Because crabgrass exists one season, and into the next season there is a large vacancy (void) left where it was. It is that very void that allows it to thrive in that next season. Though Da'ath is technically not a void, it can easily be symbolically represented by one. 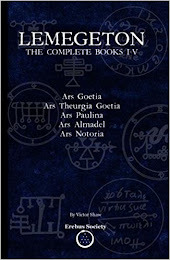 *And of course to cross the Abyss one must deal with Da'ath, which is not the Abyss but is in it. So then, metaphorically speaking, Da'ath is crabgrass within the void patch of the Abyss. Weeds are only weeds when they are interfering or encroaching. Knowledge is the same way, and without being understood it is absolutely useless. But with understanding, knowledge is powerful indeed. Those who judiciously apply their knowledge and wisdom, are the truly powerful--again metaphorically like crabgrass in a sense, but in a positive light this time (thank you to Adam K, for sharing this wise observation [from point of asterisk]). We could thus say that this herb says that to be strong, one needs to be in control of their ego, and should not be a know it all, but rather a pillar of wisdom. Along this same vein, crabgrass heightens disintegration magick, and also banishing magick, and any magick relative to a void, or creating one in any way. Crabgrass seed heads can be used to represent fingers, so if you are being irked by someone having their fingers in your business, pointing a finger at you, or always having their fingers on what you want--yes, crabgrass magick. In a revenge spell or freezing spell, to represent someone who has taken from you, use the seed heads. 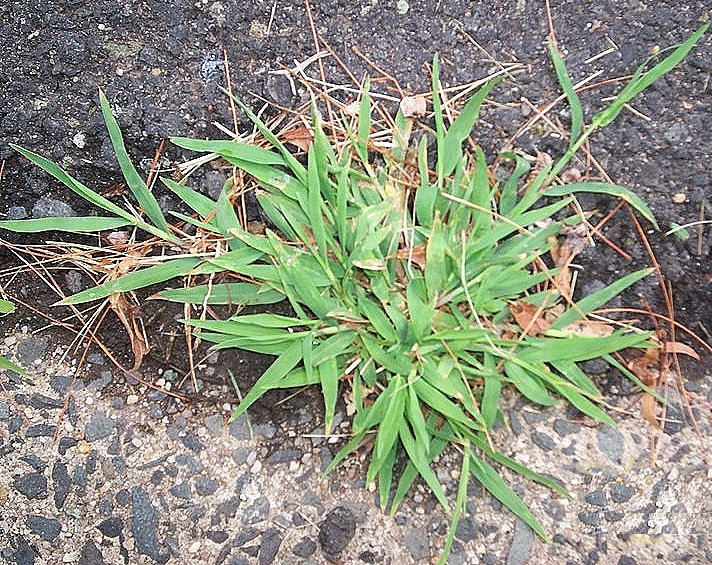 To reiterate, the crabgrass plant takes over an area, leaves a void so that it itself can return healthy and strong; then it does just that into the next growing season. This gives an idea of why it is a good herb to use in magick to return what has been lost or taken away, to restore loss of respect or standing, or to bring back lost love. As Ra Hoor Khuit suggested, if you want to get ahead of the pack, use this herb in your spellwork. Gaining ground in the career market is about standing out amongst the rest, hence crabgrass again is an herb of choice. *One can make a crabgrass root tea to assist in healing bronchitis; as well this herb is effective as a diuretic, and is understood to assist with all healing to both liver and kidneys. It can be helpful in healing dandruff (*ref: The Art of Healing and Truth Telling, by Becca Stevens). Crabgrass tea can additionally be used to promote hair growth, and strangely enough, to diminish hair growth as well. Furthermore, it can be used in spellwork to reduce or remove any health ailment, or alternatively in spells to return one to a status of good health. The simplest way, is to get a tealight burner with adjustable-height tray. Cut your harvested crabgrass small and burn it in the tray. You can of course also use an electric incense burner, can burn it loose atop charcoal, or can make your own incense from it if that rings your bell. You can even burn it atop lit incense cones. Alternatively you can make an oil of crabgrass and anoint candles, or burn it as an oil on charcoal. Just keep in mind that burning it loose or as an oil, it should ideally be combined with more fragrant but complementary herbs or resins. To heighten its powers, cinnamon is but one good choice, dragon's blood is another. In banishing magick, combine it with asafoetida, for a most powerful combination. One can meditate crabgrass to resolve ego based issues; but as well it can be meditated to open a road to awareness in how to eliminate pressing life problems and obstacles.